Derived by this widening gap in the healthcare system between effective screening mechanisms and disease, scientists at the Israel Institute of Technology spearheaded by Prof. Hossam Haick designed a system called the Nanoscale Artificial Nose, NA-NOSE for short, as a means of detecting head, neck and lung cancers, which are incidentally some of the most common kinds. The method this device implements, with the help of its nanowire sensors, algorithms to differentiate healthy vs. unhealthy cells, and software, relates to its unique feature of sniffing out particles released by tumors, foreign bodies or antigens into the blood and then the breath of humans, also perceiving certain changes in biological chemicals, blood and metabolism. So, basically, a pseudo-nose that can detect a cancerous growth or other anomalies in the premature, sometimes asymptomatic, stages and in time, reduce mortality rate due to disease? Indeed! To check its accuracy, a case study was conducted wherein 80 cancer-affected volunteers were screened by the NA-NOSE and all of them were tested positive by the device. 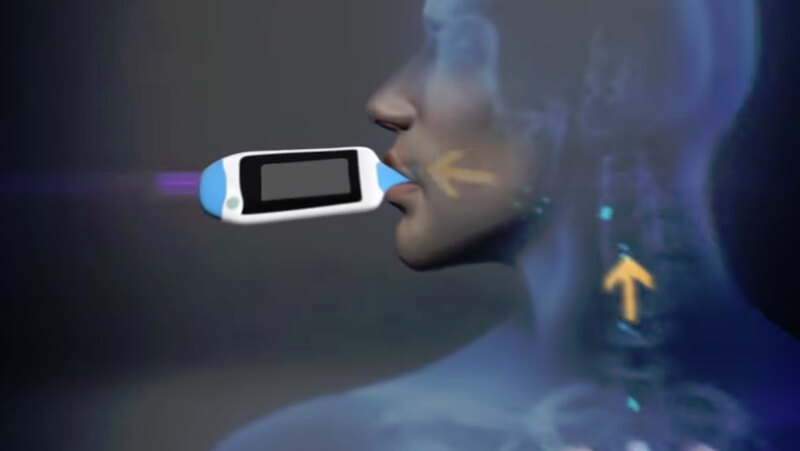 Breathtec Biomedical, Inc. has partnered with Technion in an effort to increase production of the NA-NOSE by hastening the pace of its clinical trials and approvals as President Malhi of Breathtec believes, “This game changing and disruptive technology offers great promise”. The concept doubtlessly shows potential in making tests non-invasive and more reliable for patients, reducing the physical spread of disease, eventual evaluation of therapeutic choices and importantly, improving the lifespan of a high-risk population that previously lost out due to late detection. The innovative nose-system can also be applied in navigating among tissues during surgery and locating biomarkers in the progression of stages. In case we forget, this e-nose does not substitute for therapy and is just an efficient screening technique that finds relevance! The device has currently been licensed for identification of cancers, bacterial infections such as Streptococcus and Staphylococcus, MRSA, strains of influenza and chicken pox, to name a few, and has also shown remarkable development in differentiating the nature and type of cancers like prostate, breast, lung etc., without the help of time-consuming blood tests or biopsies. Now, even a dogs’ sense of smell (really where the inspiration came from but was ruled out due to reasons like impracticality) got nothing on the novel NA-NOSE! Disease identification via our inhalation-exhalation cycle is the future, and is sure to find a permanent place in the world of disease, technology and medicine.